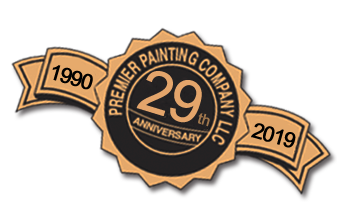 Premier Painting Company started in 1990 with a vision for quality, dependable, and professional painting services for both commercial painting and residential painting customers. Premier has become one of the leading residential and commercial painting companies in the Kansas City area. Dean Denis, founder, has over 29 years of experience in all phases of the full service painting company that Premier is today and a record of customer satisfaction. Dean, his staff, and crew are committed to integrity and personal care in every painting and repair project they complete. We could tell you about our nearly two decades of service in the greater Kansas City area, and how we employ the best application and preparation techniques. We could also tell you how we use the best materials for different surfaces, or our commitment to completing each job on time and on budget and our great people and their professionalism. However, none of these adequately answer the question, because we know that what truly matters is creating the best outcome for you and your unique project. We begin at the first meeting to truly understand your objectives and concerns, prepare a detailed proposal and then work towards completion to make it happen for you! Please call us at 913.897.7000 for a free, no obligation consultation and proposal for your upcoming project!